Blue Ridge Village, a Festiva Resort, is a perfect place to get away from the everyday grind. Blue Ridge Village is set in the woods of Banner Elk, North Carolina, where you can unwind, relax and breathe in the clean mountain air. One-, two-, and three-bedroom villas have handsome wood-accented interiors and include fully equipped kitchens, fireplaces, a washer and dryer, cable TV and a DVD player. Recreational amenities include an indoor pool, a spa tub, and a fitness facility. The property also provides complimentary parking, a ski shuttle, and self parking. Whether you are a hiker, sightseer or shopper, you will have plenty to do around the resort. The scenic backdrop of the Pisgah National Forest is a playground for nature lovers of all types. For skiing enthusiasts, there are several ski slopes just minutes away including Sugar Mountain and Hawksnest Golf & Ski resort. Hikers can enjoy the breathtaking views from Grandfather Mountain and Blowing Rock. Canoers and kayakers can take a leisurely float down one of the nearby rivers, or can test their skills with level III rapids. If you're looking for local culture, drive on in to Boone, N.C., for a taste of this vibrant college town's nightlife, restaurants and art. 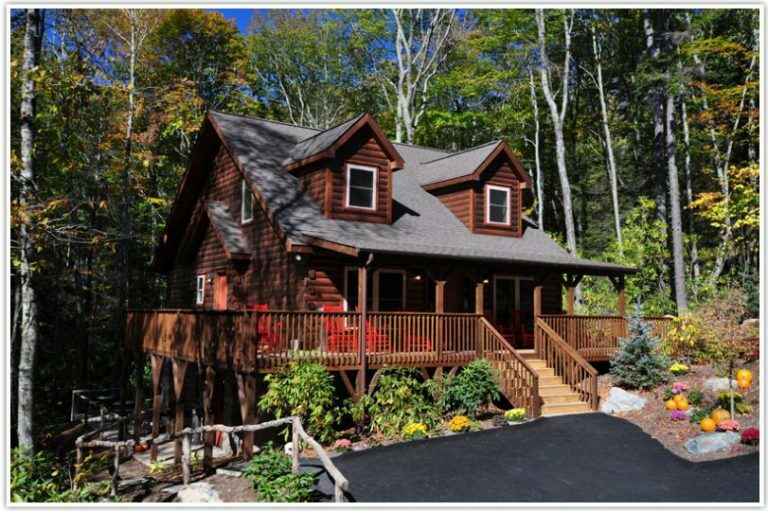 No matter how you spend your time in this Western North Carolina retreat, your comfortable villa will be calling you home time and time again.